If you are in need of a consistent and dependable garage doors service here in Austin, Texas, you should choose Dustin Johnson Exteriors & Roofing as your garage door installation, garage door repair, garage door maintenance & garage door replacement partner. As one of the best Austin roofer and home improvement specialist here in Travis County, we offer garage door services as part of our extensive home improvement service. With over 23 years of experience in the general construction and home-improvement industry, we have amassed great experience and knowledge when it comes to garage door projects. Hence, we are confident enough to extend our services to you, our valued customers. Some of the services we offer, when it comes to garage door undertakings include but not limited to replacement of springs, cables, sensors, rollers, and all other damaged garage door hardware. We also replace broken panels and garage doors, when we think it is beyond repair. We offer free estimates and we communicate every steps or action we will be taking in resolving any of your garage door concerns in order to showcase transparency and honesty. Check What They Are Saying Our About Our Services! With our years of experience in this industry, we have managed to create a team of professional experts that could easily pass as one of the most skilled garage door technicians and project managers here in Travis County, TX. You are guaranteed that our technicians are expertly trained with the latest garage door technology and equipment. We do not simply rely on manuals or classroom training, for before we deploy our personnel to your aid, we always see to it that they have already acquired real-world experience through our apprenticeship training; they would have already observed and worked with our seasoned technician. Apart from the up-skill training that we provide to our garage door technicians, we also see to it that the materials or components we use are of great quality. That is why we chose to partner with Amarr, the nation’s leading and trusted manufacturer of residential garage doors & commercial sectional doors. 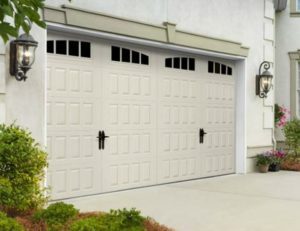 Since a garage door is a complex contraption consisting mainly of pulleys, springs, rollers, and door sections, using products and materials of seasoned manufacture is of great importance; durability of the product is a must. For stylish and safe garage door system, we only trust Amarr’s garage door designs and replacement products. Their products are also known to be highly energy efficient, for it offers varying levels of energy efficiency and noise reduction. Aside from that, Amarr’s residential and commercial steel and aluminum garage doors are all manufactured here in United State, which guarantees high quality and durability. Here are some of the reasons why we choose to utilize Ammar garage door products for garage door installation, garage door replacement, garage door repair, and even maintenance. To know more of our garage doors services and the products we use to serve you better, you may contact us at (512) 337-2661 or visit our office centrally located at 901 S MoPac, Expy building 1, #300 Austin, TX 78746 for a personal consultation and free estimate. You may also check on our other services that concern your roofing, gutters, sidings, and windows. Contact Us Today.